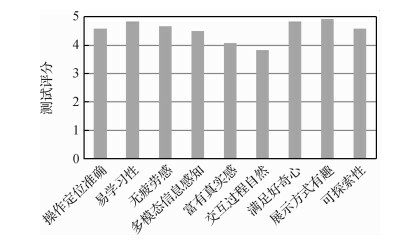 第一作者简介: 祁彬斌, 1992年生, 男, 南京大学情报学专业博士研究生, 主要研究方向为多媒体信息处理、触觉交互。E-mail:qidoublebins@163.com. Objective Cultural heritage is a powerful witness to the cultural inheritance and development of a country or region. 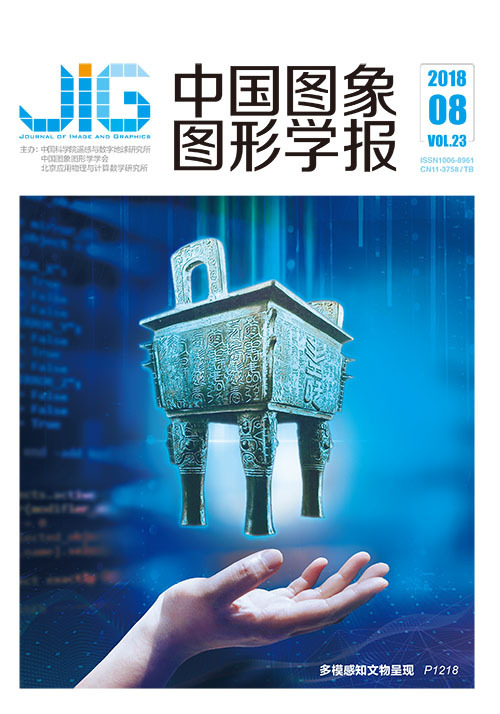 In view of the current trend in which cultural relics extend from traditional physical relics to virtual exhibitions and digital relics, providing a multi-mode presentation method of digital cultural relics is necessary. By introducing computer haptics into the field of cultural relic exhibitions, we propose an algorithm framework for interactive presentation based on the multi-mode perception of 3D artifacts. The proposed framework is based on multi-channel analysis of tactual, auditory, and visual characteristics of cultural relics. Considering the contact states between users and these digital 3D models of relics, the multi-channel information is identified, calculated, integrated, and processed. Eventually, information is passed to the visual, audio, and haptic devices to complete the multi-mode perception. 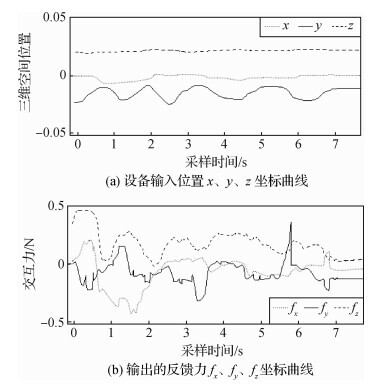 Method In this study, the impedance control mode is used as the basic driving mechanism of the haptic computing rendering. The basic idea is that a user inputs the position and direction information, and the force and torque are then calculated and fed back to the user. The calculation and rendering for different characteristics of these artifacts, such as contour shapes, physical materials, and surface textures, are also implemented in stages. For the contour shape of these artifacts, the spring system based on the embedding depth is constructed to simulate the contact process, and the stiffness coefficient of the spring is related with the cultural object. 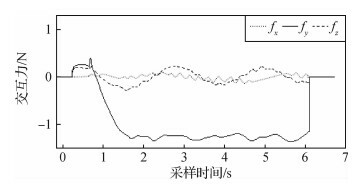 To reflect these material characteristics of the surface friction, the friction during the contact of cultural relics is simulated by introducing the dynamic and static friction factors. 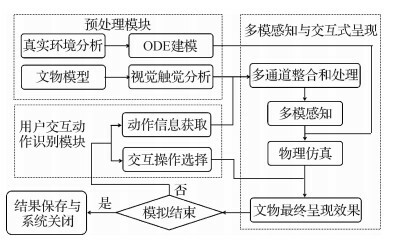 With the movement of the operation proxy on the surface of cultural relics, the finite state machine is alternately updated between static and dynamic friction. Although discrete triangular patch groups can identify the complex form, deviations remain because the existing models are usually represented by triangular patches. To address this problem, the normal mapping is used to perform the haptic processing of the surface texture. Compared with the traditional 2D interaction, 3D space provides more freedom and more abundant interactive tasks. At this time, through the comparison or abstraction of certain mechanisms existing in the real world, the behaviors and states of users' operation can be mapped to a proxy in a virtual environment. 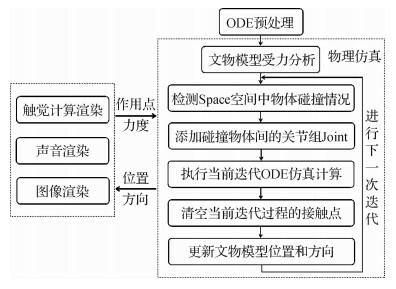 Through the operation proxy, we further build unified "rotation" and "select-move-release" interaction models to realize user intention. The "rotation" operation allows users to freely change their perspective according to their own needs, providing multi-view observation and appreciation of cultural relic models. 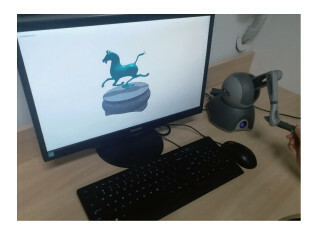 During 3D interaction, the "select-move-release" operation helps users to freely manipulate the artifact model in a virtual environment. This method can also enhance the overall cognition of the artifact model. Finally, to further enhance the realistic characteristics of the virtual environment, ODE physics engine is introduced to cultural relic interaction. The reasonable introduction of physics engine integrates the basic motion law of objects into the virtual environment to enhance the realism of physical movement and scene interaction. Result With Phantom Omni haptic device as basis, multi-mode perceptual experimental systems for cultural artifacts are built, and 15 volunteers (eight males and seven females) are selected to evaluate the system. Experimental results show that the method can enable human operators to perceive the overall and detailed information of digital relics through multiple channels of vision, hearing, and touch. In addition, the entire interaction is simple, natural, and effective. On the basis of the user experience theory of Rolls-Royce, we evaluate the experiential effects from three dimensions, namely, usability, sensory experience, and emotional experience. Among these dimensions, usability and emotional experience scores are higher, whereas the sensory experience score is relatively lower. 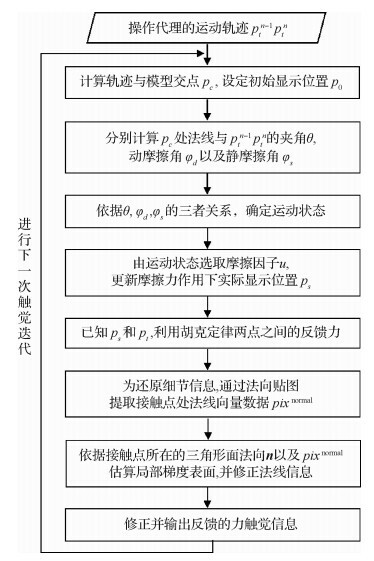 With regard to these set problems, users' acceptance and satisfaction degree are relatively high, satisfying the curiosity of people and the attraction of the presentation manner. However, users' ratings in realistic details of cultural models and the naturalness of interaction between the human and artifacts are relatively low. In general, the interactive mode proposed in this study is more natural than the mouse interaction, but it still maintains a certain distance from the human-object interaction under the real environment. Conclusion This study presents an interactive presentation method of digital artifacts based on multi-modal perception that can effectively achieve the multi-modal reproduction of various types of digital heritage, especially 3D artifacts. While ensuring high real-time performance, the method has good usability and emotional experience. In our future work, we will continue to explore the new surface haptic-rendering algorithm of the cultural relics. The method of haptic interaction for multi-point grasping of virtual artifacts needs to be further studied. Multi-point interaction can provide higher fidelity and richer operation experience than the existing interaction between single point and digital relics. Rouse W B. Design for Success:A Human-Centered Approach to Designing Successful Products and Systems[M]. New York: Wiley, 1991: 270.